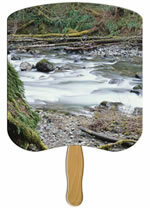 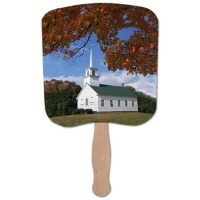 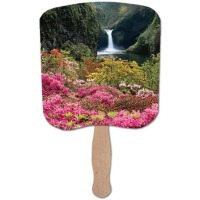 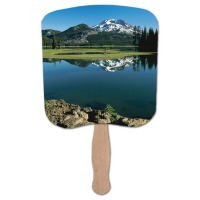 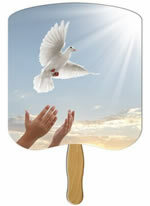 Heavy Duty Church Fans display beautiful full color stock pictures on front and allow your 1-color custom imprint on the back. 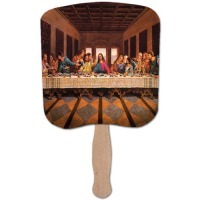 Church Fans have always been popular. 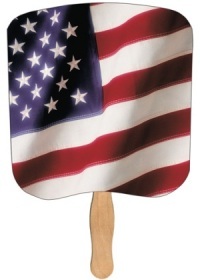 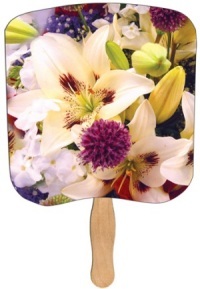 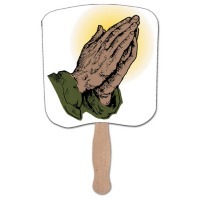 These Heavy Duty Church Fans make designing your hand fan easy with beautiful full-color stock designs printed on the front. 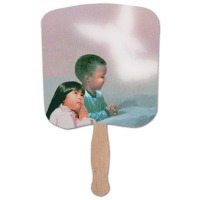 Your custom imprint appears on the back. 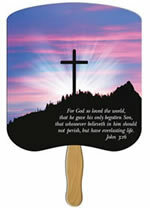 Heavy duty Church Fans are made from 22 point high density white poster board and are liquid laminated for a high gloss finish. 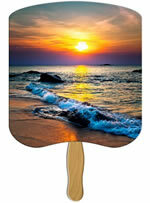 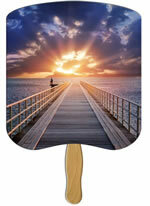 Pricing includes the full-color stock picture on front and a one-color text custom imprint on back. 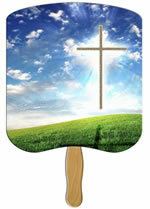 Setup fee is $35 for heavy-duty Church fans.